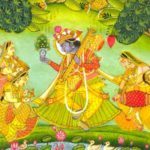 Bundi School of Painting has always enjoyed a special place of pride and dignity in the art museums of the world. No museum is complete without inclusion of these Bundi paintings of Rajasthan. 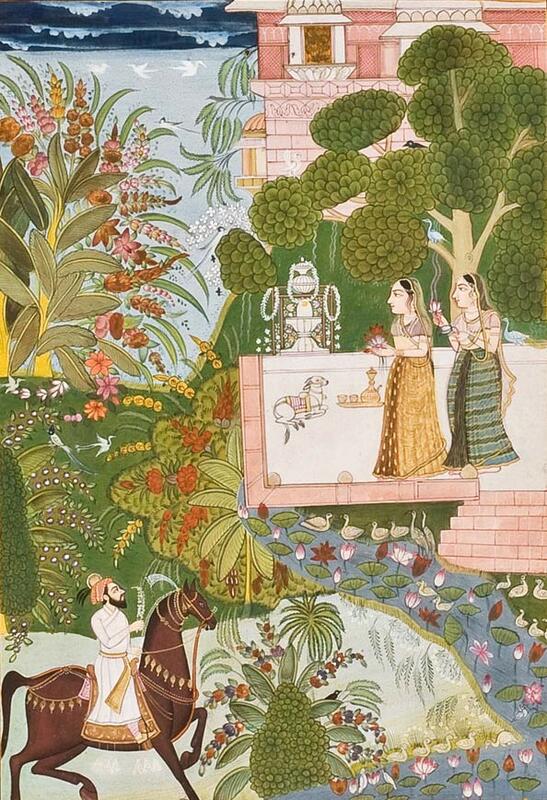 The contribution of Bundi paintings( on walls, in palaces, on paper and cloth) to Indian art is surpassable. 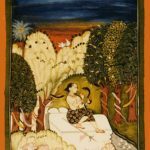 After the development of National museum of India, it has collected more than 17,000 paintings. 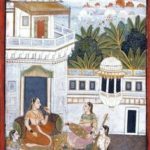 A study of the available material from national museum of India, New Delhi collection indicates that Bundi paintings fall into four distinct phases under the various rulers of Bundi. The painting at Bundi started as early as about A.D.1625 in the reign of Rao Ratan Singh. 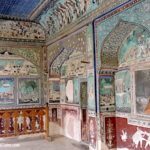 The earliest known Bundi examples are the paintings painted at Chunar. These are Ragini Bhairavi, Raga Dipaka and Ragini Vilaval. These Ragamala paintings from Chunar were regarded as prime models for the stylistic development of raga style in the coming centuries. 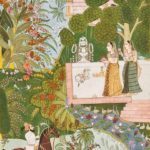 Karl J Kandalawala is of the opinion that these paintings are the product of Mughal Style painted at Chunar in Uttar Pradesh with some lingering influences of Lodhi paintings. 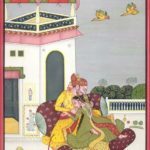 But it is very clear that from late 17th and early 18th c paintings that the artists of Bundi-Kotah followed the pattern set by Chunar Bundiala series at Chunar, which was once the Jagir and Hara Kings near Banaras. 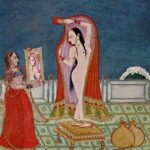 For instance, if we compare both Vilaval ragini which is a Kotah Kalam painting, both are almost identical for their facial types with Vilaval Ragini from Chunar Bundiwala. 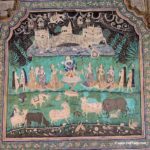 Some outstanding examples of the Bundi paintings are the illustrated manuscripts of the Bhagwata Purana in the Kota museum. 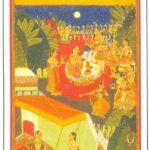 The other known paintings of Rao Chattarsal are a group of four paintings i.e. Ragini Vibhasa, Krishna stealing butter, Ragini Varari and Raga Malkounsa which are excellent examples belonging to the end of his reign namely circa A.D.1650-60. These paintings show the influence of Chunar ragamala but faces of nayaka and nayika are more refined and broad forehead is noteworthy. In Krishna stealing butter the Mughal influence of the Shahjahanii turban of Nand and impression on the face of mother Yashoda is evident. From 1660 onwards a distinctive style begins to develop which becomes characteristics of the school in the reign of Bhao Singh. In his reign garden and palace scenes are particularly attractive. One palace scene of circa A.D 1660-65 of his period is to be seen in a couple embracing outside the palace pavilion, while in another painting a princess and her maidens are also shown outside palace pavilion. In these paintings the figures are usually found to be slim and tall. The facial type seems to have been derived from Mewar painting of the mid 17th century. The trees are full of white, red and yellow flowers. The architectural designs have been elaborated fully and coloured richly. The sky seems to be smooth blue in place of patchy variegated skies. This style with certain variations continued into the last decade of 18th century. 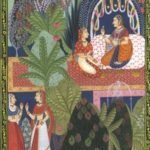 In these developments, the love for the Bundi artists for surroundings full of various trees, plants or delightful gardens with beds of flowers and fountains became very evident and remains an important feature of Bundi paintings. The faces of all figures seem to have a reddish brown hue. The constant presence of plantains with their broad leaves also became a feature of Bundi paintings.